Not a lot in the trap in the middle of last week, with cool windy conditions at night and just a trickle of new species for the year. 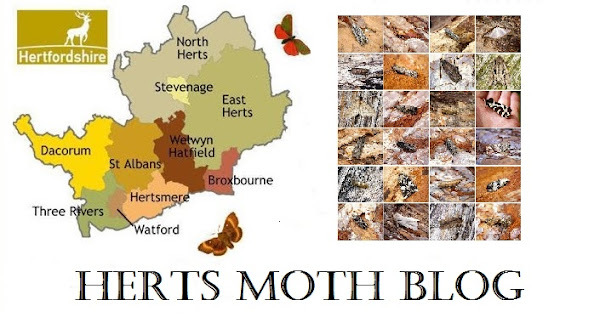 During the daytime though it's a completely different story with warm and dry conditions and lots of moths to be found by sweeping and tapping foliage, in fact a few outings have yielded around 30 species during short walks whilst out with work. During the colder nights i'm still dropping to half the wattage to the standard 125w bulb. Best Moth was a pristine Lime Hawk-moth which makes it four species of Hawk-moth so far this year. Garden species count for 2018 now upto 116. Here is last Tuesday and Thursday's new for year species. Superb shots,love the Lime Hawk-Moth. Thanks John! Moths are starting to appear now finally.